MOUNTAIN VIEW, CA--(Marketwired - Oct 26, 2016) - vArmour, the leading data center and cloud security company, today announced innovative additions to its patent portfolio issued by the U.S. Patent and Trademark Office. 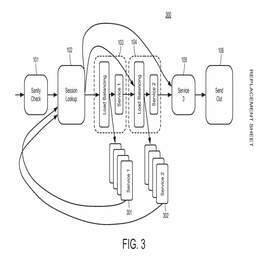 Newly awarded patents focus on segmentation and service chaining in the modern data center. In its quest to expand data center security for the multi-cloud world, vArmour has aggressively tripled its patent portfolio over the course of the year, from 4 issued and 11 pending in 2015 to 13 issued and 24 pending U.S. patents. The recently awarded and pending patents put further emphasis on service chaining, context aware micro-segmentation and enforcement inside multi-clouds. These innovations help organizations benefit from segmentation and micro-segmentation by reducing attack surfaces, improving compliance, and increasing infrastructure utilization. vArmour's all-software, subscription model allows customers to integrate new, patented capabilities as soon as they become available, unlike hardware-centric security scenarios where new capabilities can only be realized by buying or refreshing expensive hardware. "Having spent a career understanding the challenges of securing mission critical data center environments, it has been incredibly exciting to be part of a world class team solving the hard problems in new and completely innovative ways," said Marc Woolward, CTO at vArmour and a former CTO of Goldman Sachs. From simplifying and scaling security within the cloud to developing cutting-edge ways of service processing on network gateways, our patent work reflects the ingenuity within our team and our determination to protect our intellectual property on behalf of our customers." "vArmour is an industry-leading innovator with a proven track record in developing flexible, software-driven solutions to meet the needs of today's enterprise organization," said John Ferrell, Attorney at Carr & Ferrell, LLP. "With these newly issued patents, vArmour is equipped with the ability to drastically impact the security marketplace and drive strategic change in data center and cloud environments." "vArmour operates in a market space undergoing disruptive change in multiple dimensions," said Peter Christy, Research Director with 451 Research. "First, data center security is replacing the traditional perimeter model to include much needed internal security; second, software-defined overlay networking is being adapted to provide fine-grained micro-segmentation of the data center network, to provide a platform for internal security; and finally, the scale and complexity of modern data centers is dictating that this be architected and implemented as cloud-native technology rather than adapting and reimplementing old software and system architectures. Thus it is likely that innovation and intellectual property will play a key role in this important emerging market."